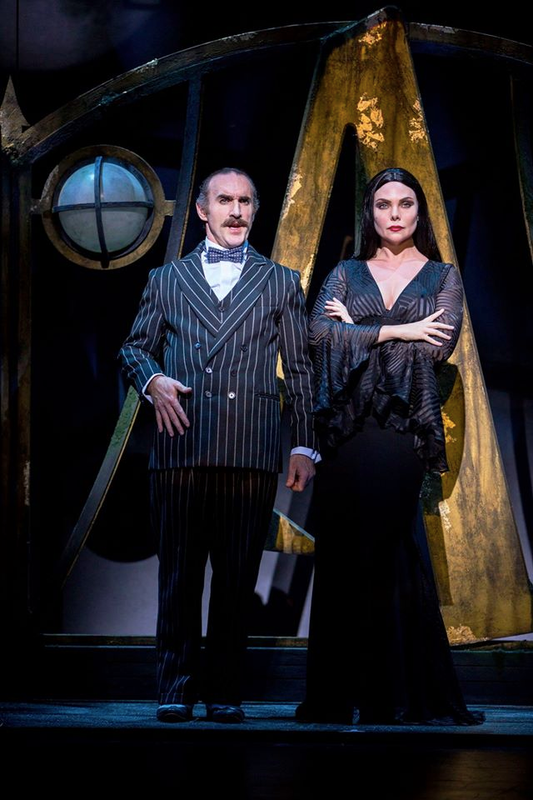 Coming to the New Wimbledon theatre, they’re creepy and they’re kooky, The Addams Family: The Musical Comedy will begin it’s UK tour and we are dying to see it. Based on the original cartoons, later a TV show and the movies, the story follows the unusual goings-on of the Addams, a family who embrace the unusual, dark and downright scary. There’s something new happening to Wednesday Addams. She’s all grown up and she’s enjoying her first love, a young man who’s…normal. How will her family react to her unusual crush? Maybe a dinner party with his parents will help things along. Probably not though. Here’s why you have to see this show while you can! 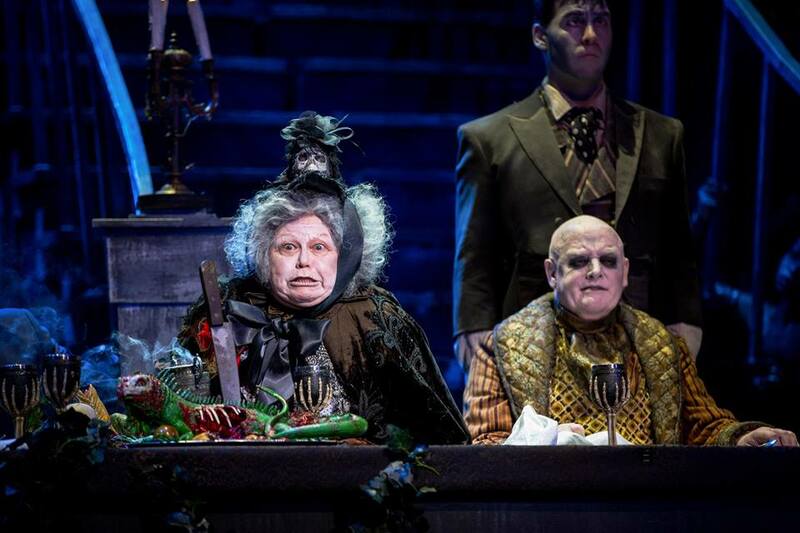 Carrie Hope Fletcher (Wednesday), Samantha Womack (Morticia) and Valda Aviks (Grandma) play the three generations of Addams women. 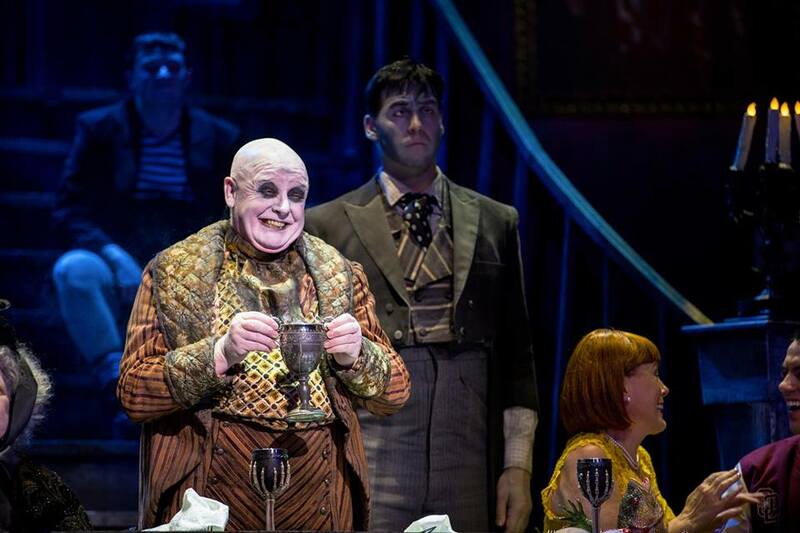 Les Dennis wears a lot of black eyeliner to play Uncle Fester, Cameron Blakely will sport the iconic moustache and pinstripe suit of Gomez and Grant McIntyre will play his teenage son, Pugsley. Andrew Lippa is the man behind the music; you might already be familiar with his shows The Wild Party, Big Fish and You’re A Good Man Charlie Brown. Back in 2010 when The Addams Family was first on Broadway, Andrew was even nominated for a Tony Award for Best Original Score! Watch the video above to see Andrew accompanying Carrie as she sings Wednesday’s song “Pulled”. Wednesday and Morticia are giving us serious style goals and will definitely be making a comeback this Halloween as top costume choices. This Summer, we will mostly be wearing black pilgrim dresses and pigtails. If you’re after a more dapper look, you can’t go wrong by taking tips from Gomez. If you’re looking for more statement pieces, go for Pugsley’s black and white stripes if you’re looking for people to move away from you on public transport, try Uncle Festers “look”. If you’re the kind of person who waits all year just for Halloween, watches The Nightmare Before Christmas every day and like your shows a little darker, it can be a real challenge to find something that suits you. The Addams Family is funny, great for kids and celebrates the darker elements that we’ve come to know and love from movies and TV. 5. It’s only in London for a few performances! That’s right, with just eight performances at the New Wimbledon Theatre you haven’t got long to see it. We all love a long-running show, but sometimes it’s definitely worth putting in the effort to catch a very limited-run show. After that you’ll need to follow the show out on tour across the rest of the UK. 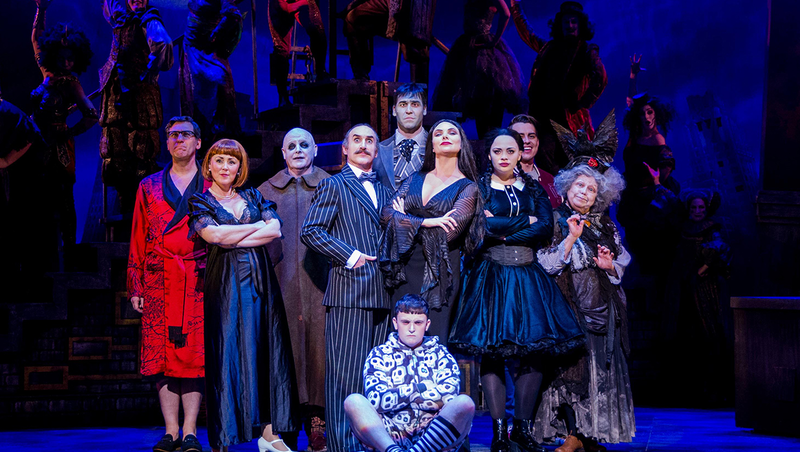 Book now to see The Addams Family, saving up to 37% on tickets! Want more? 11 Theatre shows to see in London this May.